Teak Warehouse occasionally offers and selects a few rare, yet traditional pieces of sheltered furniture. The owners of Teak Warehouse travel the world looking for inspired and exciting designs as well as visiting the manufacturing plants they own, this always gives them the opportunity to look for new ideas and style pieces for their customers and private buyers. 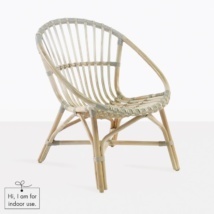 These pieces of indoor cane relaxing chairs are the classic bamboo styles from yesteryear. The pieces are handmade by one of the most respected artisans and his team in Indonesia. 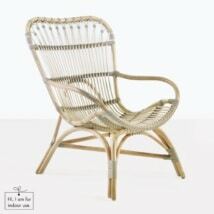 This is the classic way of weaving furniture using Bamboo since the 1930’s. Some of these methods include using square, round and diagonal lashings. The more advanced techniques for lashing and joining are by using peg and key joints with screws and metal pegs for bracing. Since the 2000s poly-propylene became a strong and popular material for outdoor furniture because of its strength and durability and it worked outdoors and would last for years. With these new man-made fibers, styles could be light and airy or alternately heavy for the larger pieces. The four pieces we have made above follow the theme of the 1950’s with one piece called Zen, a classic mid-century style with a low relaxing style. The 2nd style, Porch, was created with a modern classic flair. Veranda, a favorite, being the most popular classic look and high back. Global is from the Somerset Maugham era of veranda furniture and leather club chairs. Visit Teak Warehouse for many surprises from traditional to new modern pieces in a variety of colors, shapes and sizes. We also offer A-grade teakwood, outdoor fabrics, handmade outdoor glassware pieces, traditional and modern umbrellas. 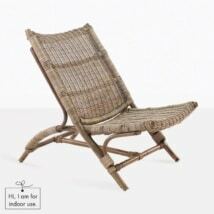 We supply outdoor wicker chairs, sunbeds, relaxing, and dining chairs all in this amazing material. With our classic traditional pieces we only have a limited number and do not reproduce, therefore if you are interested call us for more information.